I'm at another "stump" in the editing process of the novel. I've made good progress and was feeling confident. It was shaping up nicely and parts coming together. Then I decided to finish breaking up the all-in-one document into chapter and scene pieces in Scrivener to continue working the revision and rewrites. That was much easier to navigate when I was working on the chapters to submit for the upcoming writers' retreat and it seemed like it was time to get it easier to work on than in one giant document. In that process, which necessarily included skimming chapters as I transferred them to the separate sections, I found several more disconnects in the story. More questions came up. Questions about the characters. About some impossible plot points which need to be addressed and some changed. Places where the story doesn't work as written or where there is significant information to be added which will enhance the story. The lack of physicality of characters. And so on. Editing types of observations. And, again, I was reminded that - perhaps - working from an outline of some kind would probably make the process easier. The editing process. But, again, it's not the way I write. Or hasn't been the way I've been writing. I tried to create an outline from what I have. I started a text document in Scrivener - as an addendum to the main work in the file, so it wouldn't be printed with the compilation. I started it in a TXT document; no good. I tried it in Word, with a little more functionality and formatting, but it was too overwhelming and frustrating and was not going to be helpful. 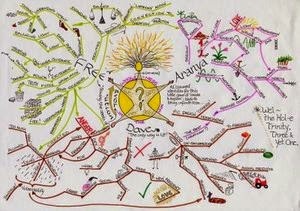 Then I realized that what I needed was more of a "mind mapping" approach. There are three main threads in the novel. They all come together, overlap, are related - eventually. But within each of them there needs to be continuity and each grouping has some strengths and weaknesses. So I thought that the mind mapping format might work to clean up the sections and give space to work with the novel as a whole. 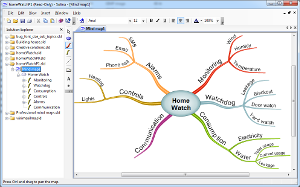 That started the search for mind mapping software. 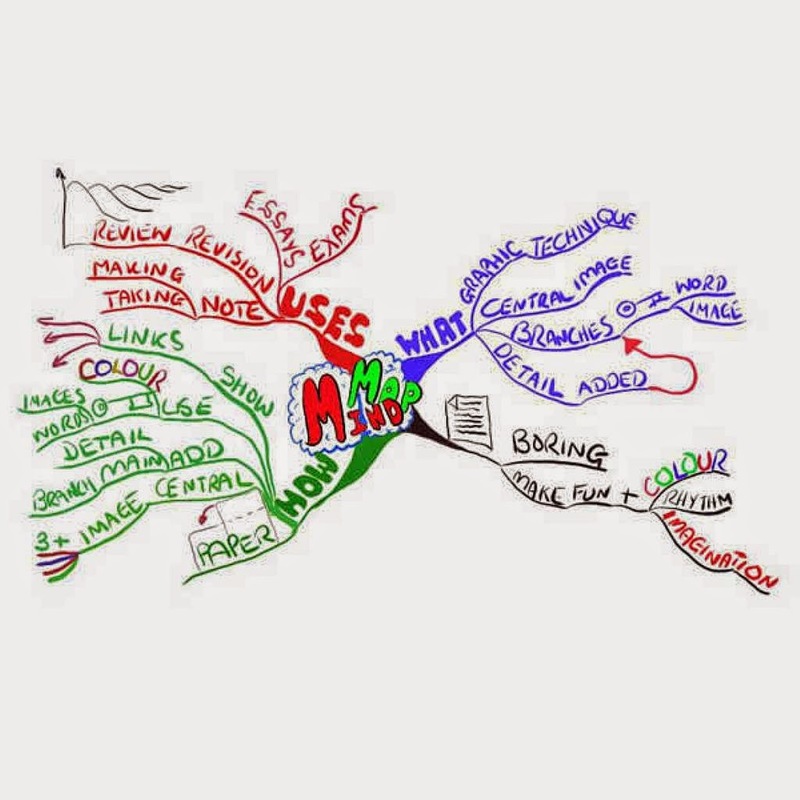 Everything else is digital, so why not mind mapping! I had looked at a couple of programs a couple or several years ago, so I went on an internet search. Some are free. Some are java applications. Some are online; some are downloadable. Some have free trials and videos. I searched. And played. After I bit I felt I wasn't getting anywhere and I had something else I needed to map out. I have a number of theatrical and writing obligations coming up, and workshops, and was having a hard time visualizing everything. So I decided to get out a piece of poster board - I have a small stock of poster board and other similar foundations for creating collages. I decided to section it into a year - a rough, by hand, division not going for exactitude, but for separation by month. Then I wrote in the obligations, including a few tentative things with unknown start dates/end dates/ scope of commitment. In my way - left over from years of working as stage manager - I also added symbols for the different types of events. Then I added a color for groups of types, for a quick glance overview of the activities to come. There is room left over to add activities and notes if needed. That poster now hangs beside my desk. As I looked at my theater, performance, workshop, and special event "poster," I realized that what I need to do with the novel is mind mapping - by hand. For the same reasons, to be able to add and draw lines and circles and arrows. To squeeze in something here and there. To literally get my hands on it and feel and see where the novel has gone, is going, what it needs. To know the story in my body. To make that knowledge visible. It was very late (or very early, depending on your perspective) when I had this realization, so I have not made that insight a reality. Yet. I will. Yes, mind to hand to paper. This will work. 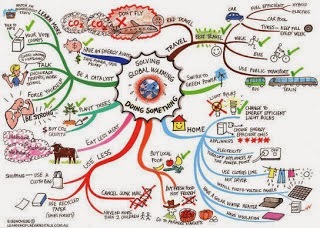 Note: all of the "mind mapping" images are from online websites with software to share or try - except for this last one, which was hand drawn by the author of an article on the uses and benefits of mind mapping. 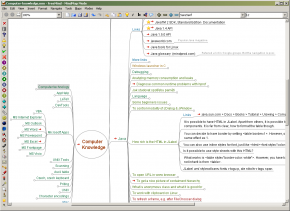 A couple of the software programs come close - in appearance - to hand mind mapping. But, for me, it's the physical quality of the process, as well - not just the finished product.